Healthy eating is an essential part of life in PachaMama. Health Food such as light, vegetarian, nourishing food is key in the transformation process as it is in tune with the needs of the meditations, workshops and cleansing groups. High vibe nutrition supports the body and the psyche, allowing a natural state of wellness and equilibrium to be attained. All food in PachaMama is free of refined sugar, wheat and yeast (bread). No processed or canned ingredients are used in the preparation of any foods or beverages. 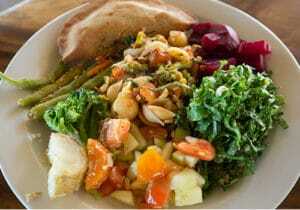 PachaMama uses organic and locally grown produce whenever possible. 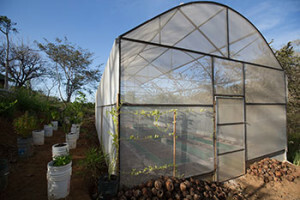 Its ECO team grows and harvests 100% Organic food on PachaMama grounds, including many types of potent superfoods, leafy greens and fruits such as turmeric, noni, moringa and cacao. This homegrown produce can be found in various corners of PachaMama such as Verde Restaurant, Wild Treats raw smoothie and dessert bar or the village’s Jungle Shop.